We are what we eat. This statement is true in more sense than one. Food is of course necessary for our physical well-being. But as well as this also has suitable affect on our minds, since the essence of food forms the mind. A natural diet or a pure or "Sattvic" one is based on fresh, light, nutritional food such as fruit, grains and vegetables. 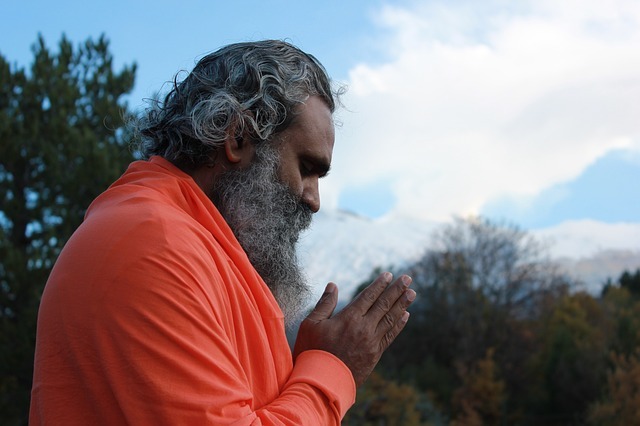 It keeps the body lean and the mind clear and sharp, making it most suitable for the practice of yoga. Full of prana, a pure and moderated diet is the best possible guarantee of phyical and mental health, bringing harmony and vitality to both body and mind. The yogic way of eating is quite simply the most natural. The sun, air, soil and water combine to produce the fruits of the earth - vegetables, fruit, legumes, nuts and seeds. This asana is one of the classic meditative pose which help to straighten the spine, slow down metabolism and still the mind. 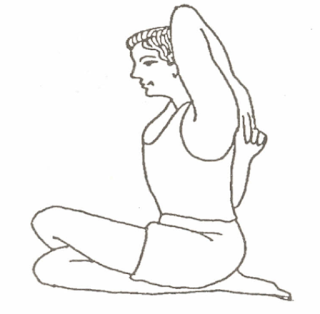 This asana resembles a thunderbolt, the weapon oi Indra, King of the Hindu Gods. It makes the body strong. It should be performed for 5 minutes after taking meal as it helps to digest the food. 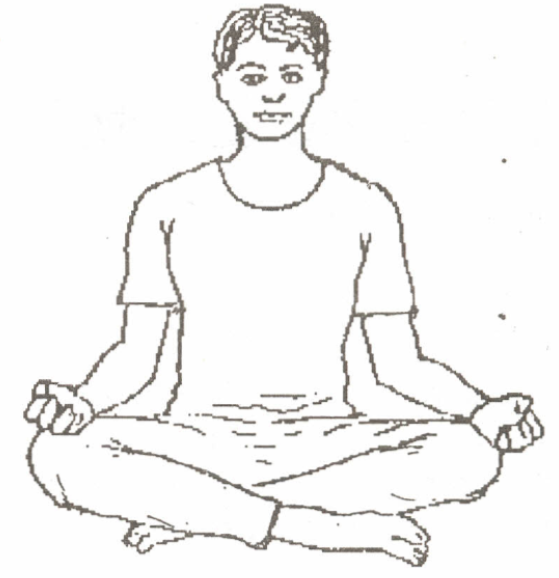 This asana can be used for pranayama and mediation. You can stay in this position as long as you are comfortable. This looks like a lotus. The lotus is a powerful symbol in Indian spiritually, a pure and beautiful flower floating on the water with its roots in the mud beneath, and is beneficial for ladies. It should be practiced at least 15 minutes daily. Lying full length on the back on the ground like a corpse is called Savasana. 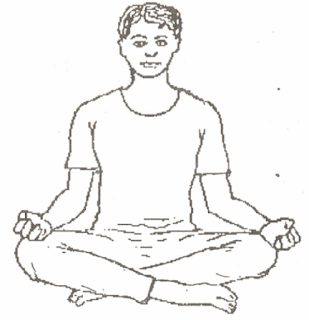 This removes tiredness caused by the other asanas and brings calmness of mind. 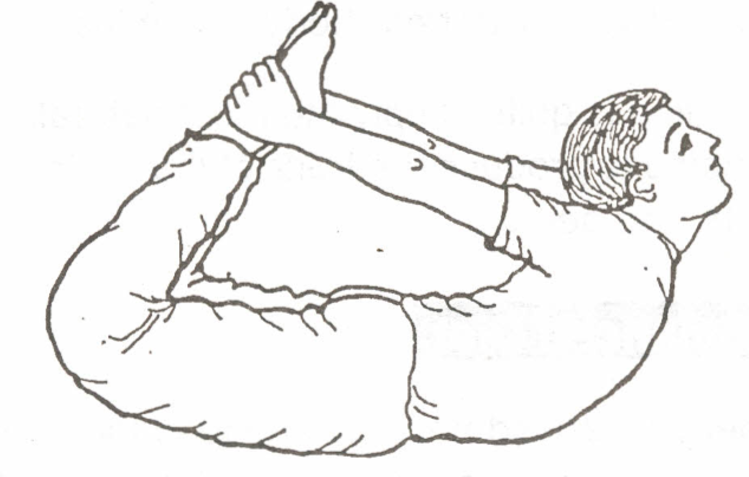 This asana is very beneficial for a tired body. It relaxes the mind and body. It should be attempted atleast for 10 to 15 minutes for full benefits. Savasana would be an essential end to asanas. Most of us, of course, don't have ideally balanced, strong or supple bodies and we need to rest physically at the end of our practice. 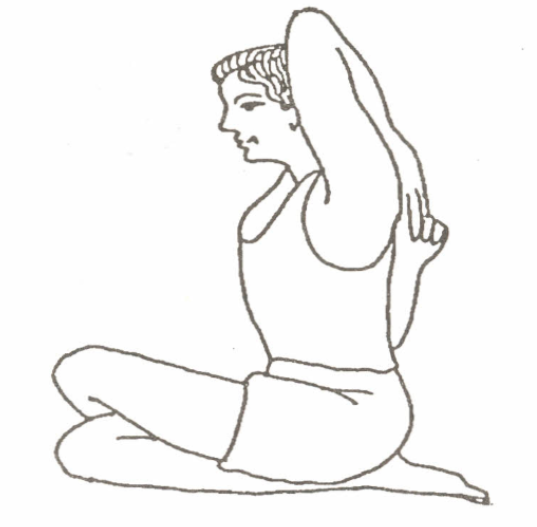 This resembles the makar (crocodile).This asana is very good for the stomach. It refreshes the body and keeps the mind cool. 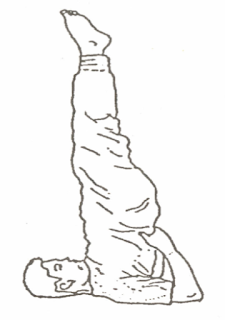 This asana stretches the whole of the back of the body from the heels to the head. If you suffer from lower back pain or a slipped disc you should not attempt it. This increase the blood circulation. This is a cure for many ailments. It keeps the mind cool. This has many benefits if it is practiced daily. It cleans you mind and reduces anxiety. 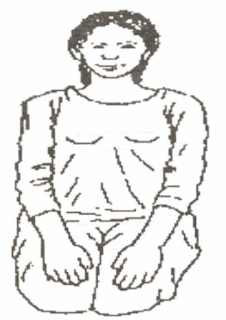 It is also useful in relieving constipation and headaches. It has a very good effect on all parts of the body. Hala means plough. It bends and stretches each part of the body. It is an excellent restorative for exhaustion brought on by physical fatigue and stress of the day. A Sarvangasana and Halasana are practiced after each other then they form a balanced sequence as they have complementary effects. It helps in broadening chest. It is very good for the shoulders and stomach. This helps in curing constipation. 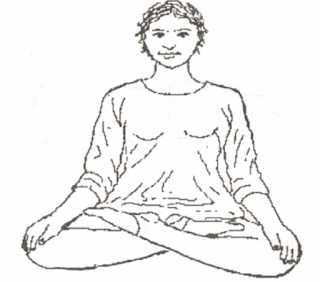 This asana is particularly good for females. 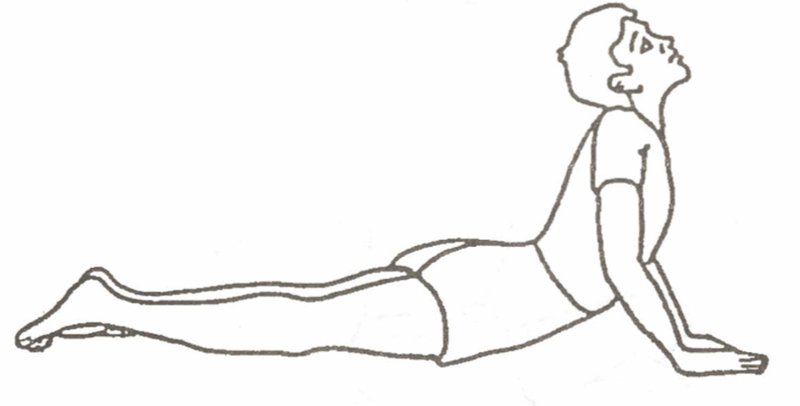 This asana resembles a snake with its head up and about to strike. This requies flexibility and strength in the lower back. This helps in curing constipation, indigestion, etc. It gives a glow and a beauty to the body. This resembles the bow. This pose has the same energy and tension that is felt in the archer's bow which bends and he draws the string back. 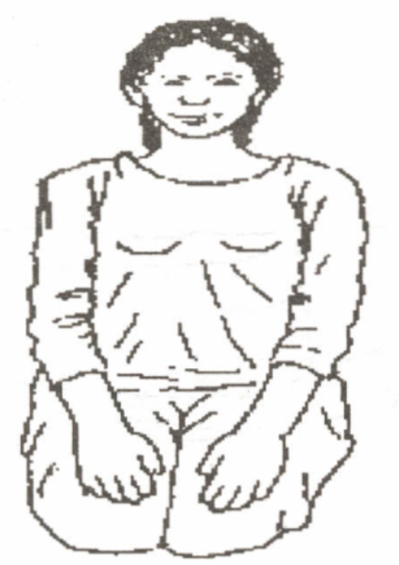 The spine is fully and evenly stretched between the legs and arms which have to work with equal strength. It is also like the graceful shape of a bridge, the arms and legs being the four pillars supporting the structure. 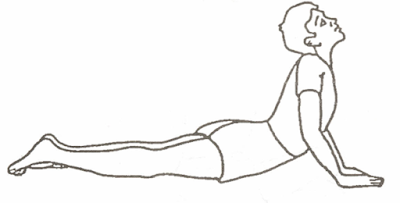 This asana makes the body soft and flexible. It is good for the eyes also. 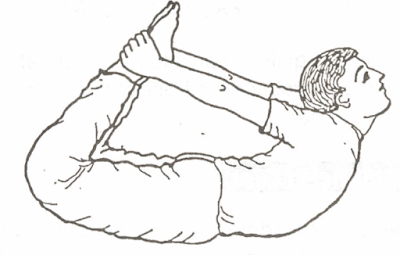 This asana helps in reducing fat from the stomach and hips. 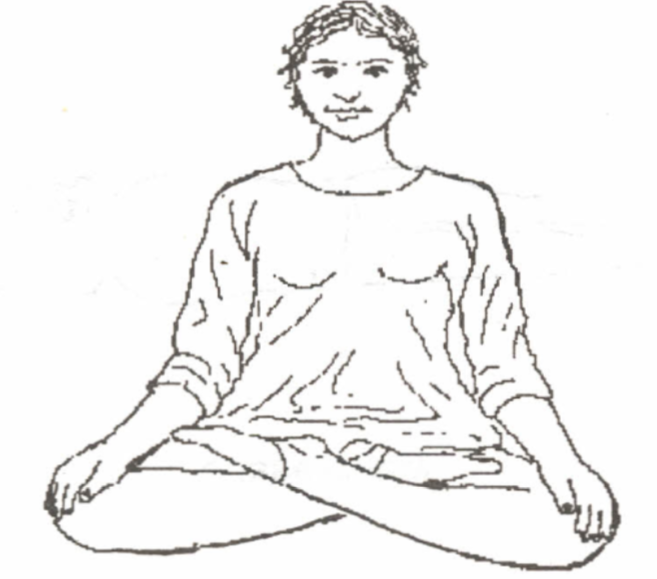 This asana resembles the face of cow and that is why it is called Gomukh Asana. This gives strength to the waist, knees and feet also cures ailments related to lungs and it is very good for asthmatic patients.